Ideally this would’ve been posted before Passover. Apparently I don’t live in an ideal world, cooking seder for 10 people in the same week I am trying to prepare to go away for 12 days was more than I bargained for! In the end it all worked out. I am now sitting at JFK waiting for my plane. 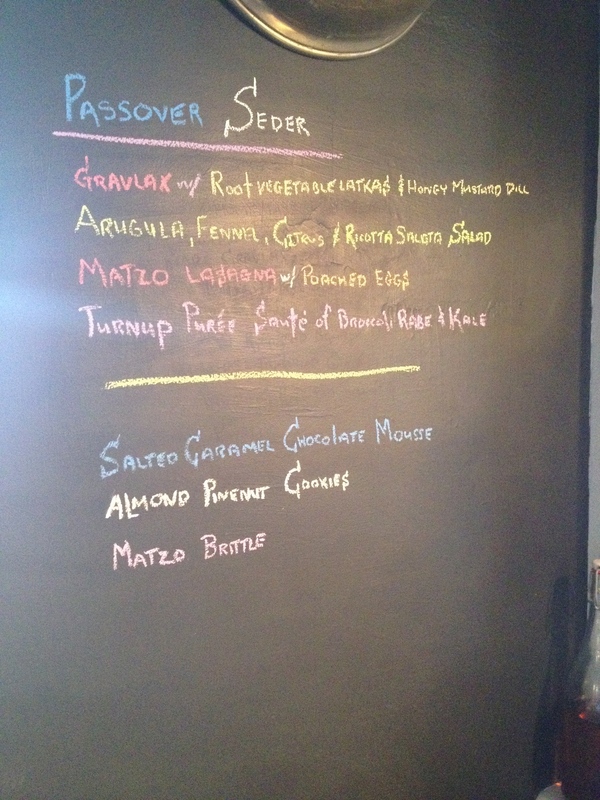 And seder turned out wonderfully. Traditionally, people make Brisket roast, Chickens and lots of Matzo heavy sweets. Over the years we have developed our own tradition: lasagna made with shmurah matzo, which is a big round version , I use a hearty, chunky tomato sauce with rosemary, parmesan rinds, lots and lots of garlic olive oil and several hot peppers. After it’s assembled I bake it for about 35 minutes. Just before serving 6 to 8 poached eggs are smashed on top then sprinkled with Maldon salt and fresh rosemary. Finding kosher for passover parmesan could be a challenge, I cheat and just use regular. 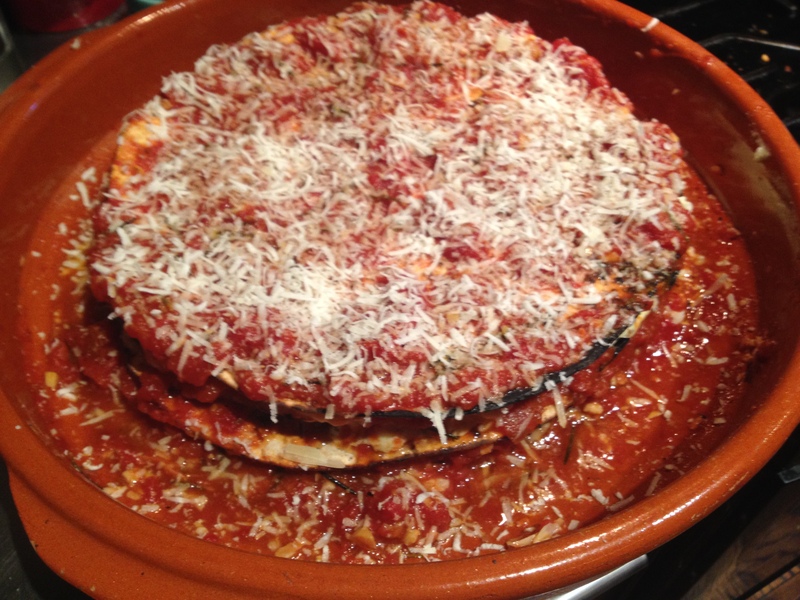 I got the inspiration for this lasagna from a Sardinian dish that used carta music to assemble a lasagna like dish. This is a picture of the lasagna before it went into the oven. By the time it came out of the oven and I placed the poached eggs on top and made it all pretty it was whisked to the table and devoured. Maybe next passover I’ll remember to take a picture. Oh and this years version had a thin layer of smoked ricotta. You don’t need to make this just for seder, if you can get your hands on some carta musica this is a great variation on the usual noodle lasagna. This entry was posted in Other Stuff and tagged carta musica, lasagna, Matzoh Lasagna, Menu, parmesan, Passover, Seder, tomato sauce. Bookmark the permalink.